How and when do you use the iPads and digital platforms during an iAchieve session? At Learning Academies we recognise that our students are growing up in a world that enables them to use digital technologies to accelerate their learning. 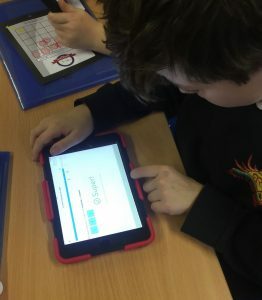 We invest heavily in new technologies, ensuring that every student on the iAchieve Programme has access to their own digital tablet during sessions where this would be beneficial. These are used to enhance and complement our first rate, ‘traditional’ tutoring. We are working with some of the countries leading digital education companies and through these partnerships we are able to provide access to some highly effective learning platforms. These are NOT used to replace traditional tutoring. Far from it! They are tools used by our tutors to support, reinforce and extend elements of each child’s learning. No time is wasted marking worksheets and the instant feedback enables our tutors to focus in on areas for development. Our writing recognition software enables children to use their tablets to write and show working out, confident that the systems in place are sufficiently intuitive to recognise this.